The foreclosure process is a state police power, which means that every state is allowed to set it owns laws and procedures. Some states tend to be more friendly to third party investors, while others make it more difficult for investors to pick up properties at a discount. In Colorado, the process is investor friendly in my opinion. My reason for this, is because third party investors know prior to the public trustee auction what the note holder is willing to pay in order to retain the investment property. The foreclosure process can be very complicated, which has already caused a lot of problems across the US. This article will give you the knowledge that you need to know about the Colorado foreclosure process. In Colorado once a property is purchased if financing is involved, a note and deed of trust are issued putting the loan originator (usually a bank) in the first deed of trust position, meaning that the borrower has entered into a contract with set terms with that lender. The warranty deed is then recorded with the county courthouse in the county where the property is located. As long as the borrower upholds it’s contract with the bank, the principal and interest on the note are paid down over a set period. If a mortgage payment is missed, it is considered late, which has different stages. The common references are 30, 60 and 90 days late. Once a borrower has gone past 90 days, it is often assumed that the borrower can not, or does not have the intention to catch up, or make any future payments. 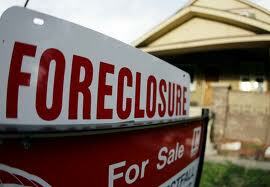 Once this occurs, the bank must follow the statues set by the state law to file a foreclosure. In the past, a borrower may be able to stay in a home for 30 days or so after the 90 day notice, but today with so many foreclosures, it is common to see late borrowers stay in a home for 6 to 9 months. In Colorado, once a borrower has been issued a NED (notice of election in demand), it will go through the necessary legal steps and proceed to the public trustee sale. In Denver County, the public trustee sale is held every Thursday at 10am downtown at the courthouse. The list of properties that will be sold at the auction is released on Tuesday afternoon. 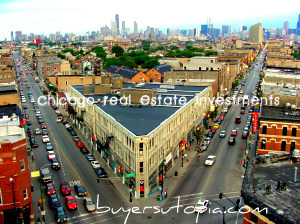 I am personally one of the investors that pulls the list every Tuesday to look for both residential and commercial real estate deals. The “sales bid” sheet as it is referred to will have information such as the case file number, borrower in default, address, amount owed and the amount the lender is willing to bid. Some properties offer strong deals, while others do not have the numbers to offer a return. Each county in Colorado is responsible for their auction process. In Denver county, the bidding starts at $1 over the lenders bid and then increases by $500 increments not to exceed $2,500 until only one bidder is left. Banks have until 9:59am on Thursday to pull a property from auction for various reasons, but once 10:00am hits, it is too late. If no one chooses to bid on the property, it will automatically go back to the bank and undergo that banks REO (real estate owned) process. Some banks prefer this and bid high on purpose, while others prefer to let third party investors have their problem. The catch to the real estate auction, is that no financing is allowed. Upon a successful bid, the bidder has until 3pm that day to pay in full, or it will be sent back to the other bidders that register. This limits the audience that is able to participate in public trustee sales. 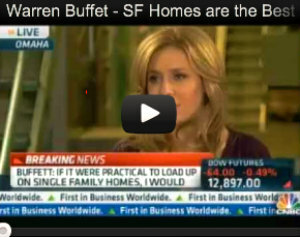 Also, investors must be cautious, as clear title is not guaranteed. Third party investors should have an O&E pulled form a title company to ensure that there are not clouds on the title (these reports are not 100%). Once a property is purchased, a buyer has 15 days to redeem, which normally does not happen. (Note: If it’s a 2009 foreclosure case file it’s 15 business days. If it’s 2010 case file it’s 9 business days.) After 15 business days, the successful bidder may then apply for the warranty deed at the courthouse, which will be delivered within a few days. In 2009, 7,386 foreclosed properties were offered to third party bidders in a 10 county area. 1,127 of those were purchased by a third party. Through the first 10 months of 2010, 12,172 foreclosed properties have been offered to third party bidders, of which 1,525 have been sold to third party bidders in the same 10 county area.